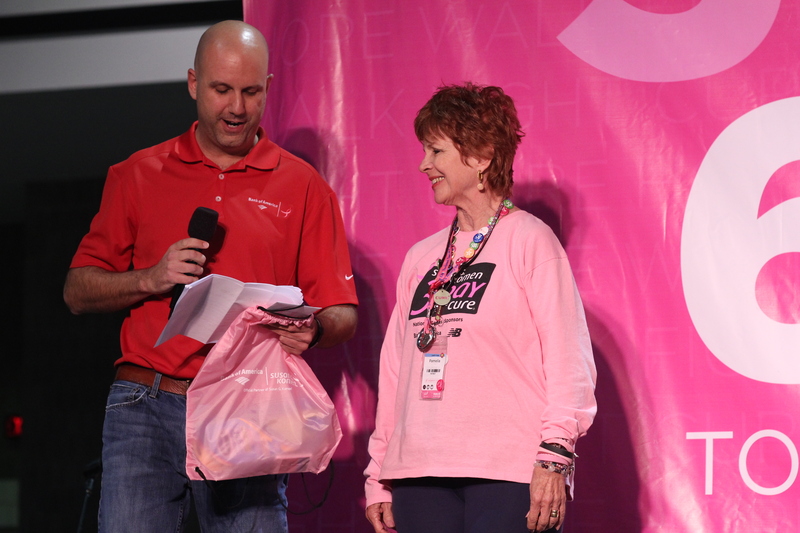 At the Susan G. Komen Atlanta 3-Day, we were delighted to shine the spotlight on some of our outstanding Komen 3-Day participants with special awards given out in camp. 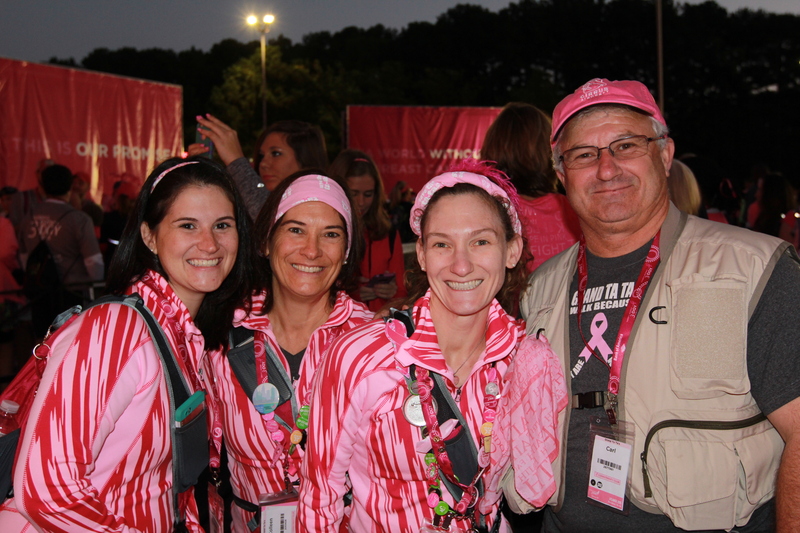 We recognized the top individual, crew and team fundraisers for the Atlanta 3-Day® in camp on Saturday. The top crew fundraiser in Atlanta was Pamella Whitham, who was a member of the lunch crew. Pamella, a breast cancer survivor, has been part of the 3-Day for 12 years, with this year’s Atlanta 3-Day being her 12th event. As a crew member this year, she raised an incredible $8,515; her lifetime fundraising total is $47,175. When she’s not traveling the country for 3-Day events, Pamella is a realtor in Malibu, CA, and lives with her husband Bob who raises Budgies (parakeets). The top fundraising team in Atlanta was Grand Ta Ta’s. On most 3-Day events, the top fundraising team is also the largest team, but in Atlanta, it was quite the opposite. The Grand Ta Ta’s are made up of only five team members and together, they raised $80,400. In their five years as a team, this group has raised an astonishing $503,600. Amazing! The captain of the Grand Ta Ta’s, Christi-Ann Wiltberger, was also Atlanta’s top individual fundraiser, bringing in $40,000 on her own (fundraising awesomeness must run in the family; Christi-Ann’s sister Jennifer, a Grand Ta Ta’s teammate, was the #3 fundraiser in Atlanta, raising over $20,000). Our thanks and applause go to all of the wonderful walkers, crew members and supporters who helped bring the Atlanta 3-Day to $2.2 million in total donations. 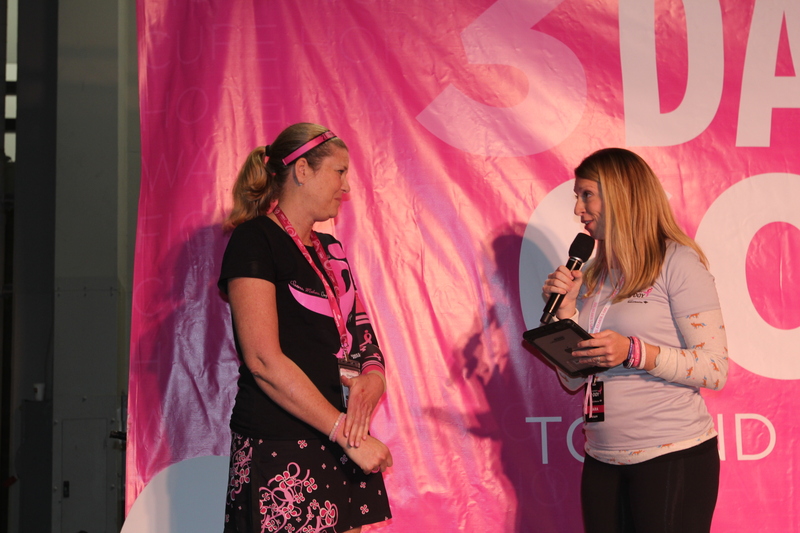 Tara, the local coach for the Atlanta 3-Day, joined us on stage on Friday night to recognize the Atlanta 3-Day Milestone Award winner. This award is given on each 3-Day event to one participant who has an extraordinary history of involvement with the 3-Day. The Milestone Award for Atlanta was presented to Shelley Middleton. 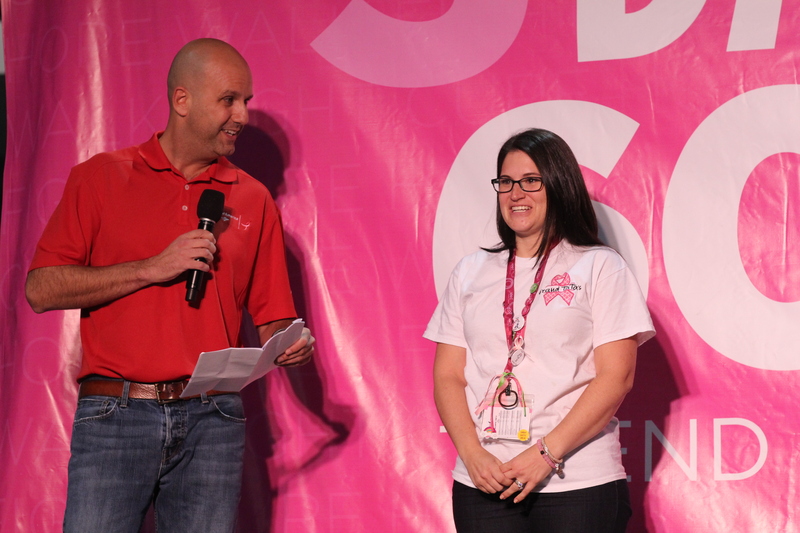 Shelley, a 21-year breast cancer survivor, told us that her favorite number is 3 and her favorite color has always been pink, even before her diagnosis, so it seems like she was always destined to be part of the 3-Day family. She first took part in the 3-Day 9 years ago, and this year’s Atlanta 3-Day marks her 9th event. In her history with the 3-Day, Shelley has raised over $69,000. 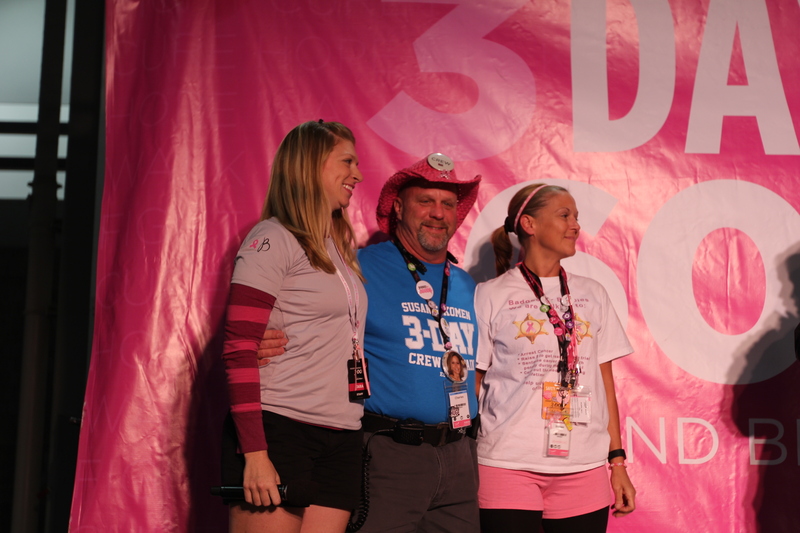 Congratulations, Shelley, and thank you for your years of dedication to the 3-Day community. We are grateful for all you are and all you do. In Atlanta, we were pleased to honor two participants with the Local Impact Award: husband and wife Charles and Renee McCollum. Charles and Renee have been part of the 3-Day for 5 years and 5 events, Charles as a crew member and Renee as a walker. As part of team Badges for Boobies, the couple has raised a combined total of over $16,000. Join us in congratulating and thanking Charles and Renee for their extraordinary commitment to the Atlanta 3-Day community. And thanks, as always, to the entire Atlanta 3-Day family for another spectacular year.